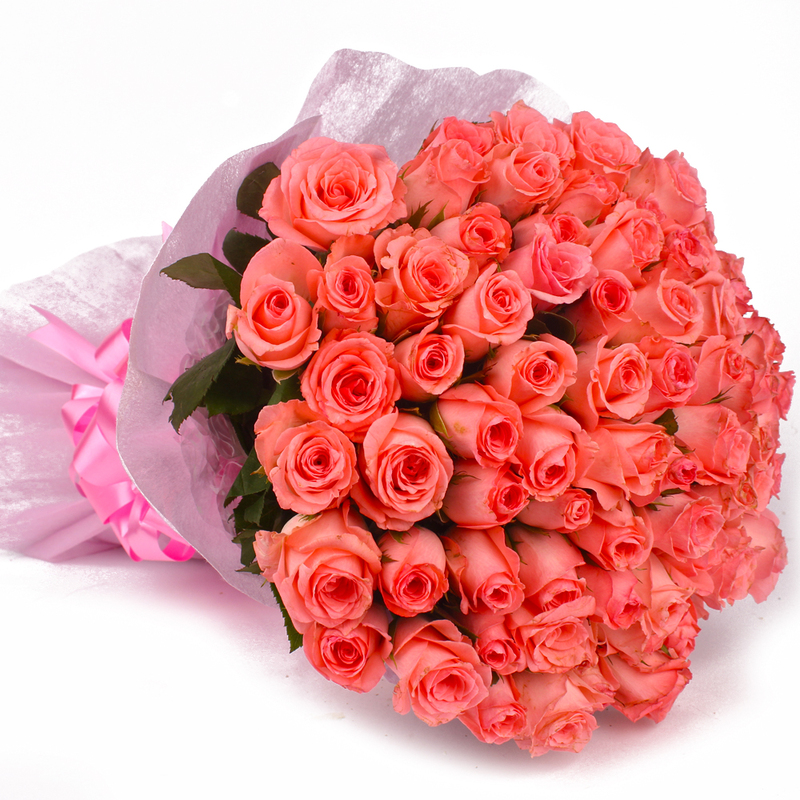 Product Consist : 50 Pink Roses with green fillers in Tissue Paper Wrapping with Ribbon Bow on it. 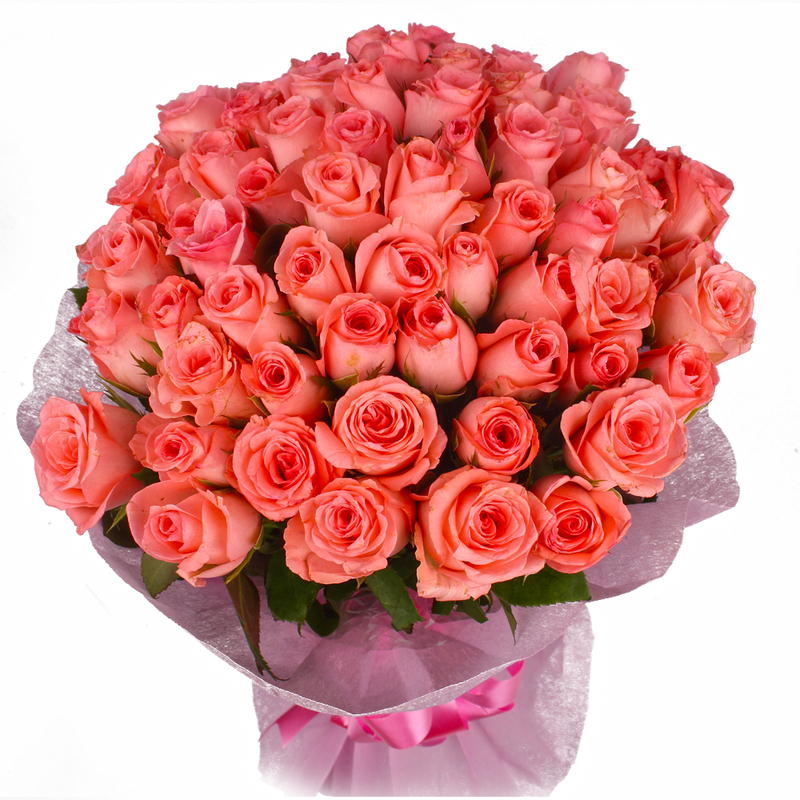 Send these flowers to brighten up someone day as fresh and joyful as this bunch of 50 pink roses packed with the best filler. 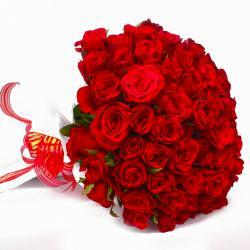 Flowers of the season, neatly wrapped in tissue paper with a ribbon bow. 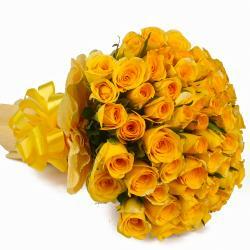 This flowers are suitable for Birthday, Anniversary, Diwali, Onam, Parents Day, Boss Day and many more. 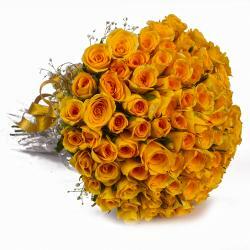 Make somebody happy today. 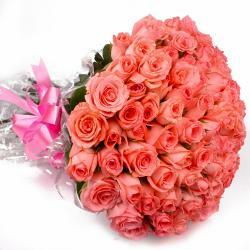 Product Contains : 50 Pink Roses with green fillers in Tissue Paper Wrapping with Ribbon Bow on it.